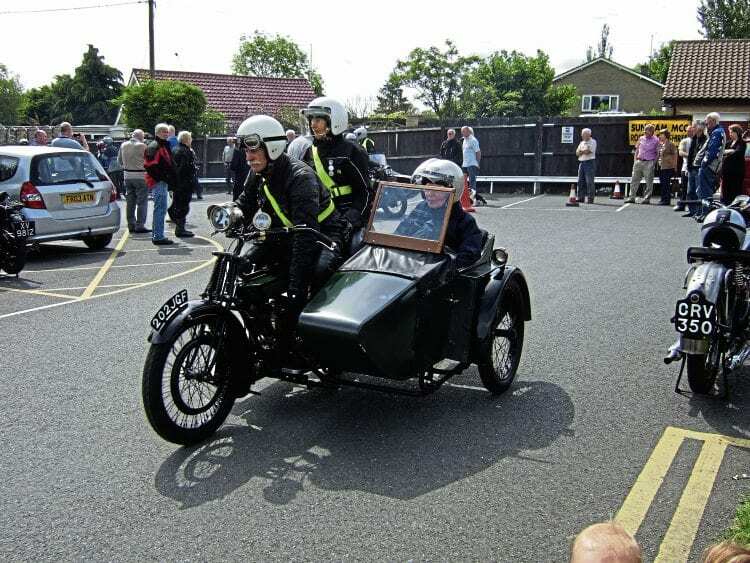 Starting and finishing at the picturesque Stoke Bruerne Canal Museum, this year’s Sunbeam Motor Cycle Club’s Rose of the Shires Run will take place on Sunday, June 11. This New Hudson rider was pictured at a recent Sunbeam MCC Rose of the Shires Run. The 50-mile event celebrates the amazing efforts of Mr Albert E Catt who, over 105 years ago in 1911, took his 3½hp Triumph for an endurance ride totalling 2200 miles in six days, averaging 400 miles per day and 23mph. While the route, including roads used for historic sprints and hill climbs, is designed for pre-1930s machines, this year there will also be a ‘guest’ class to ensure that pre-1940s bikes in the area also come out of their sheds. The run will be broken by a lunch stop (ploughman’s optional) and those wishing to make a week’s holiday of it could also take in the Banbury Run the following weekend. Read more News and Features in the May issue of OBM – on sale now!